WebSitePulse is monitoring twelve of the most popular tax websites for the 2018 Tax season. The measurement results indicate the performance levels and the availability of the websites related to the increased Internet traffic and online e-filing services during the selected period. 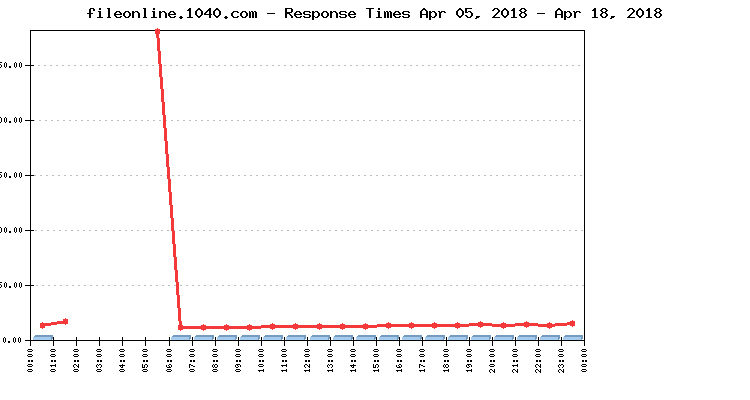 Continuous web monitoring for all twelve websites covers the period between April 05 and April 18, 2018. The reports and the charts are updated daily, displaying the results from the previous day and for the entire monitoring period to the current date. You can read more about the methodology we use to prepare this report. 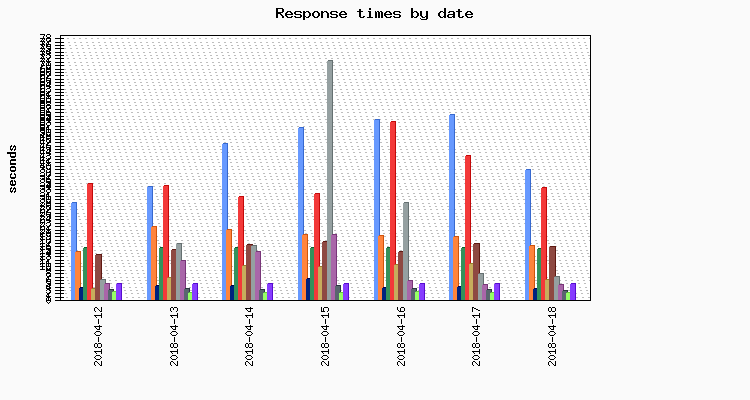 The daily Average Response time from all monitored websites was 12.434 sec. The Average Response time as measured from the US East Coast (Washington DC) was: 8.978 sec. The Average Response time as measured from the US West Coast (San Francisco, CA) was: 17.802 sec. The Average Response time as measured from the US Central was (Chicago, IL): 10.523 sec. 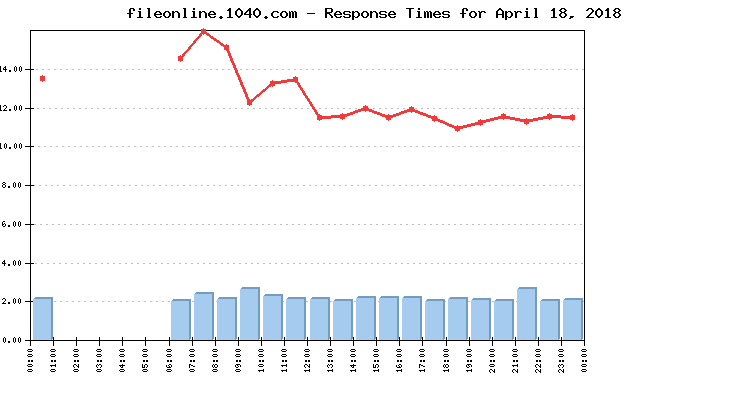 The Best Response time measured from US East Coast (Washington DC): 1.144 sec. The Best Response time measured from US West Coast (San Francisco, CA): 2.801 sec. The Best Response time measured from US Central was (Chicago, IL): 1.914 sec. The typical shopping transaction took the least time for fileonline.1040.com visitors - 2.169 sec., while the visitors of efile.com had to be the most patient, as the shopping transaction there took in average of 38.810 sec. The daily average uptime for the entire Group was 99.2%. Nine websites' availability was above the average, while three sites dragged the average down with below-the-average availability. No events of particular importance or possible negative impact on the online visitors' interaction with the Websites included into the 2018 Tax Websites report were detected during the reported period, and according to WebSitePulse, the Group delivered the expected levels of End-User experience and Customer satisfaction. The 2018 Tax Reports reflect a complete web transaction, representative for the End Users' interactions with a website. The reporting period covers the dates between April 05 and April 18, 2018. Performance and availability measurements are made for a typical multi-step web transaction at 15 minute monitoring interval, every day between the hours of 6AM and 3AM EST. Between 3AM and 6AM is the time when a scheduled maintenance most likely will be performed by IT staff and that is why we automatically suspend the monitoring process during this time every day. The WebSitePulse application monitoring service is used to collect data and to create the reports.